Many years of property management experience combined with her dedication for providing excellent customer service ensures that Kati offers not only a wealth of knowledge to her clients, but also strives to provide a level of service unparalleled in the industry. With Property Management experience throughout Melbourne in many different demographics, Kati has had the opportunity to gain extensive legislative and practical knowledge. As a result, Kati has a genuine passion towards helping people achieve their property aspirations - whether it’s assisting investors grow their portfolio, attracting the best quality tenant or maximising her clients return on investment. Kati has a natural love and flare for property management, and her pragmatic outlook coupled with her friendly and approachable attitude has led her to be described by her clients as “professional, reliable, a delight to deal with and completely irreplaceable!” When asked what her favourite part about the real estate industry was, Kati enthusiastically responded, “I love building meaningful relationships with my clients. 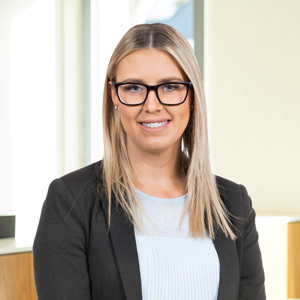 I love assisting my landlords achieve their investment goals, and helping tenants find their new home!” Outside of work, Kati enjoys reading, travelling and spending quality time with her friends, family, partner and their dog, Indi.